Republican presidential candidates criticized President Barack Obama’s address to the nation, saying the president's strategy does not go far enough or do what is necessary to defeat ISIS. While President Obama said the terrorist threat is “evolving” and sought to lay out the actions that the United States has been taking to ensure the group’s defeat, Republican presidential candidates, who have used tough language when talking about terrorism, issued responses that laid out their plans for defeating the terror group. Ted Cruz: In a pre-buttal, the Texas senator laid out what needs to be done to defeat ISIS. The senator who has exhibited a less hawkish foreign policy stance than some of his rivals, did not call for U.S. boots on the ground to defeat the group. Cruz did, however, call on the president to use the term “radical Islamic terrorism” to describe the terrorists. He said the president needs to increase border security and called for an “immediate moratorium” on refugees from countries with a large ISIS presence. President Obama said none of these things during his speech. Donald Trump: Trump took to his popular method of communication to respond to the president’s address. He live-tweeted through out the speech but gave little real-time reaction and instead retweeted others. After the speech, he offered his own input but steered clear of any policy detail. He said he wished Preisdent Obama would refer to the terrorist group as ISIS, instead of ISIL, “like everyone else” and once again said that the U.S. should have kept the oil from the Iraq war. Marco Rubio: The Florida senator appeared on Fox News to respond to the president. He used the term “radical Islam,” which Republicans criticize Obama for not using. He also said Obama is "overwhelmed." "People are scared not just of these attacks but becaue of a growing sense we have a president who is completely overwhelmed by them,” Rubio said. Rubio also said "homegrown violent extremism is the most significant and dangerous development in this entire war on terror because they become undetectable." Ben Carson: The former pediatric neurosurgeon, who has struggled with foreign policy, offered no details on what he would do but through his communications director called the president's speech "strange." 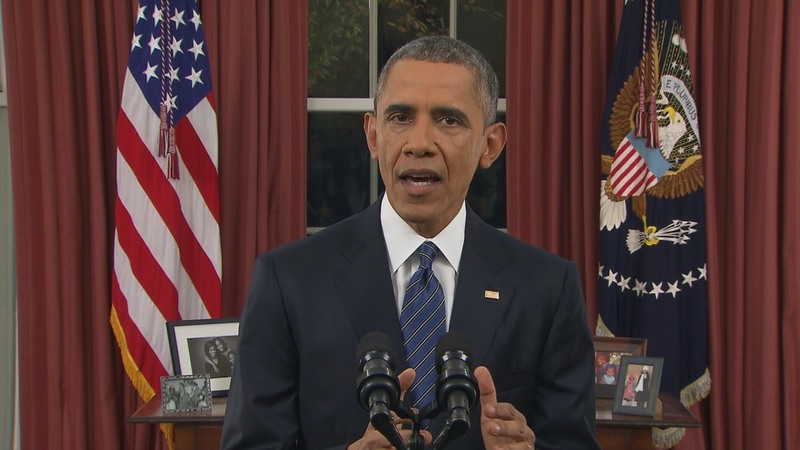 "President Obama's declaration tonight that his policies are working was strange. Strange that it took four days from the attack to respond and even more strange that somehow the attack on our soil is proof his policies are working. One must wonder who has contained who," Doug Watts said. Jeb Bush: The former Florida governor tied the president's address to Hillary Clinton. "President Obama has finally been forced to abandon the political fantasy he has perpetuated for years that the threat of terrorism was receding. We need to remove the self-imposed constraints President Obama has placed on our intelligence community and military, and we need to put in place an aggressive strategy to defeat ISIS and radical Islamic terrorism as I have proposed. Unfortunately, neither he nor Hillary Clinton has the resolve to put in place such a strategy," he said. John Kasich: The Ohio governor called for ground troops to defeat ISIS. Rand Paul: The Kentucky senator, who also has a more isolationist view on foreign policy, offered ideas very similar to Cruz's. 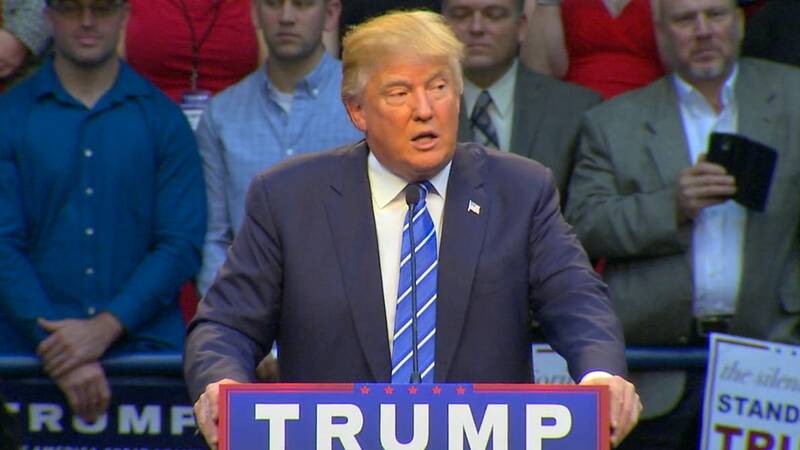 He called for an end of immigration and refugees from countries with a large ISIS presence. The only difference was Paul said the U.S. should stop sending weapons to groups in Syria. 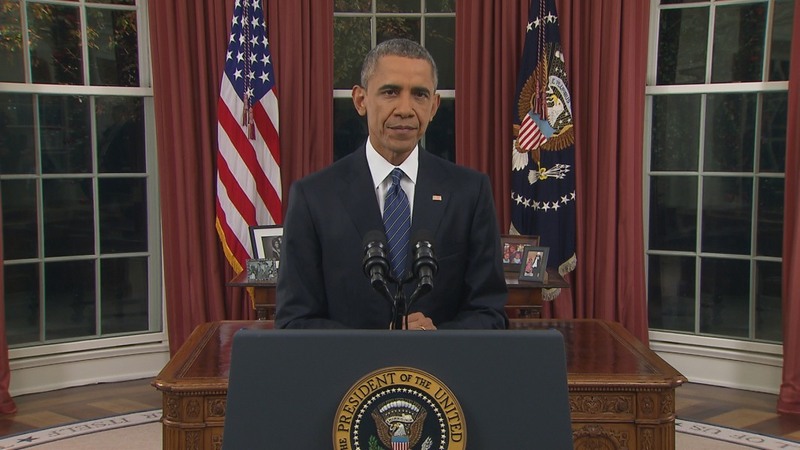 "We must stop arming and training the allies of ISIS and al Qaeda," he said. Hillary Clinton: In a speech Sunday the Democratic frontrunner laid out many things that the president said the U.S. is doing but she went further, saying the U.S. has to do more to defeat ISIS. "The need for action is urgent,” she said. She talked about the need to defeat ISIS online as much as on the ground. “Resolve means depriving jihadists of virtual territory just as we work to deprive them of actual territory,” she said. She also said the U.S. must “dismantle the global infrastructure of terror,” including their access to money. Bernie Sanders: The Democratic candidate gave no critique of the president but said he is "right."